While large companies have grown resilient to the impact of load shedding after a decade of grid pains, small and medium businesses remain particularly vulnerable to the latest spate of load shedding. This is according to Retail Capital group brand officer, Erin Louw, and economists that spoke to Fin24 on Wednesday. Government recently implemented Stage 4 load shedding in South Africa and Eskom has prepared for Stages 5 and 6 as a "contingency plan" in the event that the situation does not improve. In a statement, Louw said businesses often increase their prices to cover the cost of capital equipment. She said this could have the consequence of driving existing customers and potential new business away. "As it is, consumers are either reducing their restaurant visits or scaling down to just main courses and drinks to reduce their overall spend. Owners who are serious about staying in business should rather think long-term. We all thought that we’d seen the back of load-shedding, but it is back in full force," said Louw. Scot Kirton, owner of the award-winning La Colombe Group restaurant La Petite Colombe, said adapting to change was key to business survival, whether dealing with a declining economy or load shedding. "Restaurants have had a tough time in Cape Town but now we need to adapt in other ways to keep our restaurants operating," said Kirton. 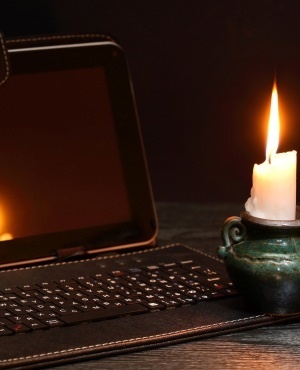 Econometrix economist Sam Rolland said as load shedding continues, fewer employers will be able to pay employees for time lost and consumer confidence will ultimately fall heavily. "The South African consumer is stressed at the moment to pay credit but will also be pressured to dip into more credit to cover expenses and the rate at which they rise. Investment is bound to be halted. The economy does not have the structural capacity to absorb new investment," said Rolland. Efficient Group economist Francois Stofberg said while it is hard to find a large business without generators, smaller businesses are still vulnerable because many of them cannot afford generators. "On the production side, taking into account that businesses have had eleven years to plan, [nonetheless] the economy is driven by investment and consumption. Investment is hard to keep if you cannot guarantee a reliable supply of electricity," said Stofberg.